LAWRENCEVILLE, Ga. - Would you confuse a crawfish with a lobster? When it comes to restaurant logos, Red Lobster believes it can happen. "Red Crawfish" in Lawrenceville received a letter from attorneys representing Red Lobster demanding the two and a half year business give up its name because it's too similar. 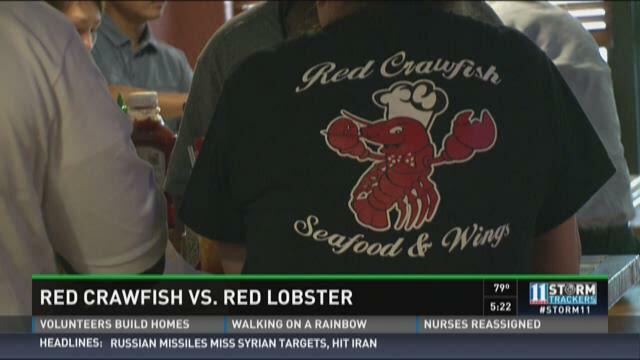 However the owner believes "Red Crawfish," a Cajun seafood restaurant, provides food and atmosphere that differ from the chain restaurant. LAWRENCEVILLE, Ga. -- Police say a man stabbed the 67-year-old great-grandmother of his child in the middle of a crowded office building parking lot on Monday. A man, later identified as 29-year-old Clarence Howard, got out of the other side of the car carrying a 6-month-old baby and ran across the street. The officer called for medical assistance for the woman and chased after the suspect. When Howard saw the officer, he placed the baby on the ground and surrendered. Howard was arrested and taken to Gwinnett County Jail. He faces aggravated assault and 3rd degree child cruelty charges. The victim, 67-year-old Betty Schiffield, was taken to Gwinnett Medical Center. The child was not injured. GWINNETT COUNTY, Ga. – Two students were arrested and charged after a classroom at Shiloh High School was evacuated due to pepper spray on Monday morning, officials said. A Gwinnett County Schools spokesperson told 11Alive that pepper spray was released in a classroom with about 28 students inside around 10 a.m.. Fire officials were called in to investigate. According to Lt. Jerrod Barrett of Gwinnett County Fire and Emergency Services, 11 of the 28 students were treated and released. All of the students returned to their normal schedules, Barrett said. LAWRENCEVILLE, Ga. -- A local cab driver is recovering, his car in ruins and a teen behind bars after a stabbing and robbery in Gwinnett County, Monday. 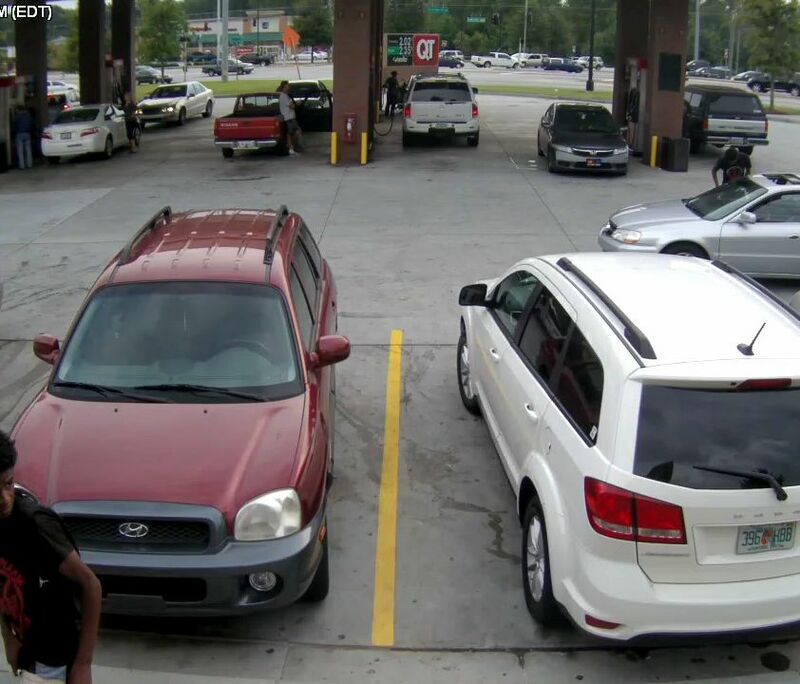 SNELLVILLE, Ga. -- Authorities are searching for two men seen on surveillance opening fire at a vehicle at a Snellville gas station. The incident happened at the QuikTrip located at 3490 Centerville Highway around 6:30 p.m. Sunday. Video shows a white Dodge Journey back into a parking space. The driver approaches the driver of a silver car. The man then walks over the passenger's side. A passenger in the Dodge exits the vehicle with a handgun and walks along the sidewalk away from the driver. ATLANTA -- A Gwinnett County mother discussed her battle with flesh-eating bacteria on Wednesday. Cindy Martinez, a 35-year-old former Marine, lost her right hand and both legs below the knees after contracting necrotizing fasciitis in late May. Martinez was treated at several metro Atlanta hospitals before she was transferred to Doctors Hospital in Augusta, where her surgeries were performed. She was moved to Shepherd Center in Atlanta on Aug. 4.